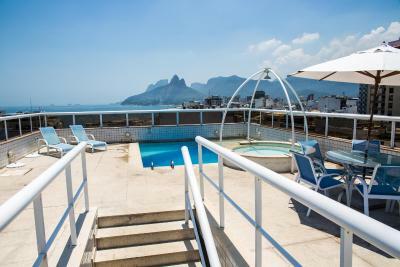 Lock in a great price for Atlantis Copacabana Hotel – rated 8.6 by recent guests! 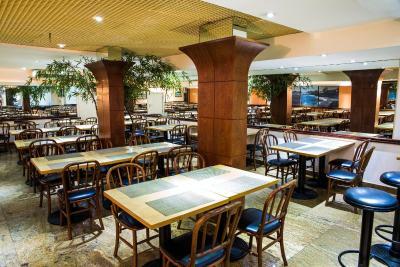 They have a very generous breakfast, the staff were very attentive. 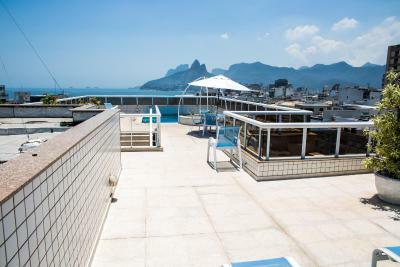 Location excellent, close to Ipanema and Copacabana. The best breakfast I've ever had! Also, the staff is super nice and they'll go out of their way to help at all times! Breakfast has a lot of options but almost same everyday.Staffs are very helpful for all our inquiries;tours,restaurants etc. The breakfast was excellent, one of the best I've ever had. 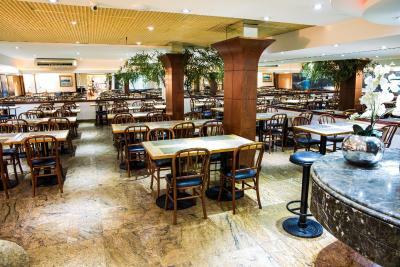 We loved it, the staff was very professional and welcoming, and the pool was great too. The rooms had great AC, comfortable beds, and a great bathroom too. The location is excellent! 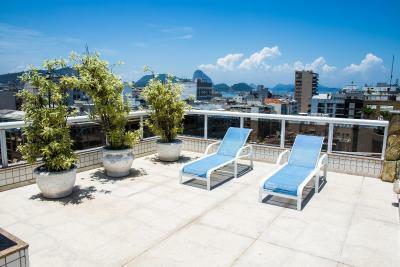 Right in a middle between Copacabana and Ipanema and just 5 minute walk to the metro station. Breakfast was good although nothing special. 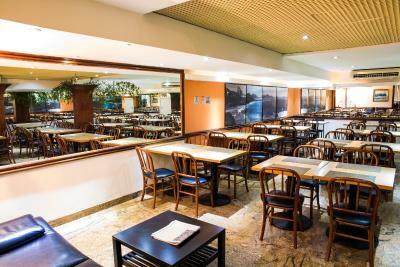 Choice of bread, eggs, fresh fruit, and cakes. Heavily watered down orange juice though. Excellent location. Good roof area with pool, sauna and showers. Hotel does not accept late check-out, but you can store your luggage and use the facilities on the roof until your flight leaves. 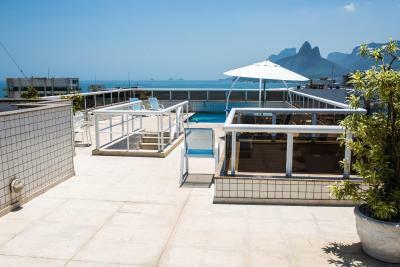 The location is great just a few minuters walk from both Ipanema and Copacabana. Staff is my favorite of all of hotels I’ve stayed over the past 13 years. Breakfast is delicious. 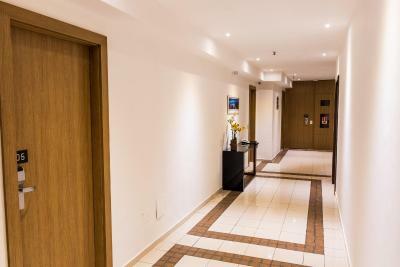 Atlantis Copacabana Hotel This rating is a reflection of how the property compares to the industry standard when it comes to price, facilities and services available. It's based on a self-evaluation by the property. Use this rating to help choose your stay! 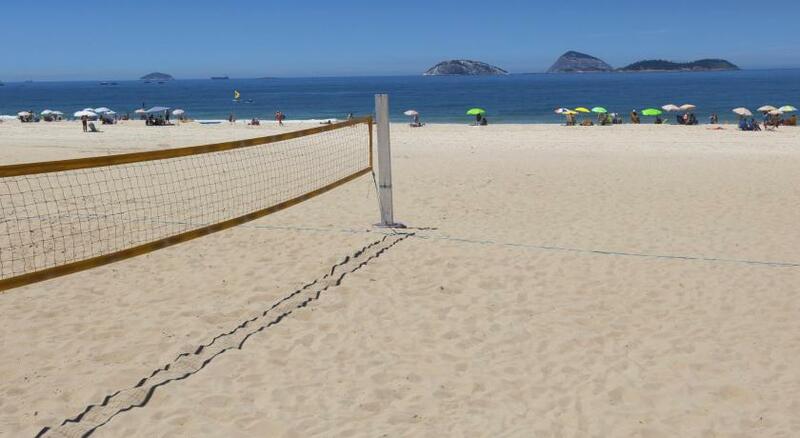 One of our best sellers in Rio de Janeiro! 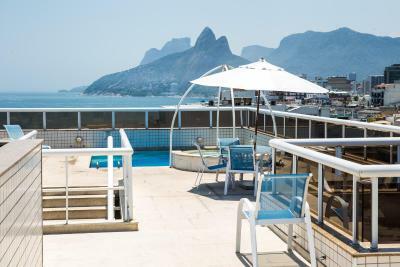 Ideally located 1,650 feet away from both Copacabana and Ipanema Beaches, Atlantis Copacabana Hotel provides a terrace with Atlantic Ocean views and a rooftop pool. 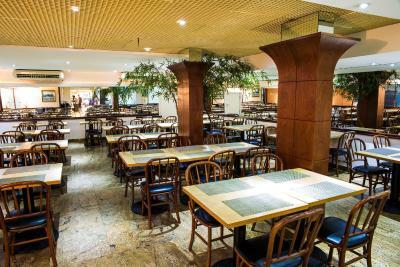 A varied buffet breakfast is served each morning in the hotel's restaurant. Free WiFi is also available. 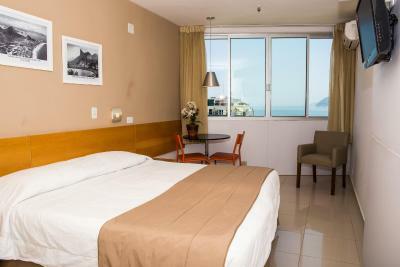 The comfortable rooms at Atlantis Copacabana are air-conditioned, fitted with cable TV and a private bathroom. Guests can relax in the sauna or in a sun lounger by the outdoor pool. Beach service is provided and cocktails can be ordered at the bar and enjoyed on the terrace. 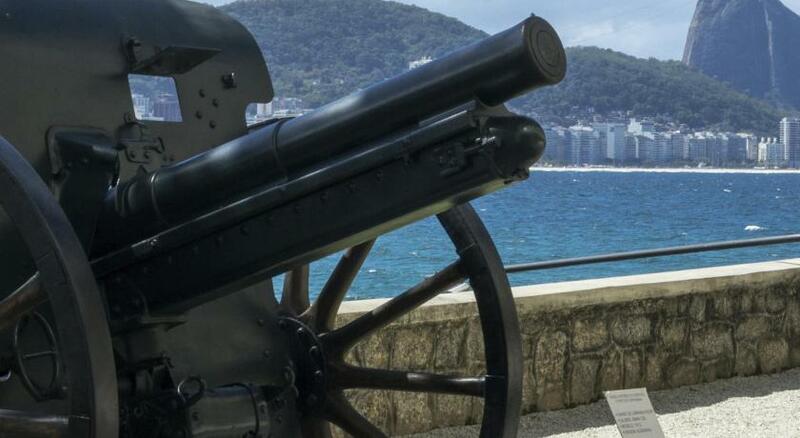 General Osorio metro station is 2,150 feet from Atlantis Copacabana Hotel, while Copacabana Fort is 1,950 feet away. 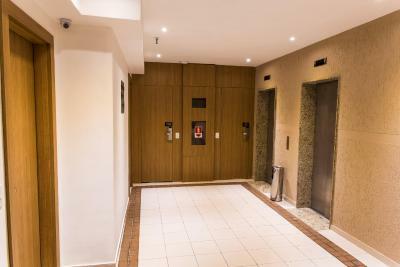 Santos Dumont Airport is at a distance of 6.5 mi and Galeão International Airport is 17 mi from the property. 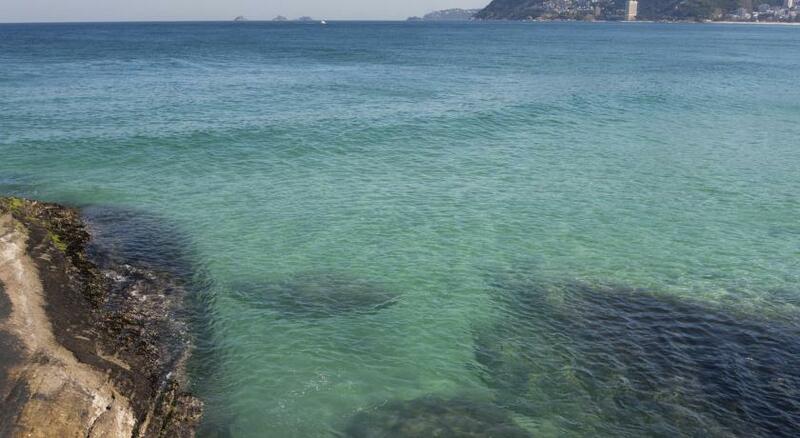 Ipanema is a great choice for travelers interested in beaches, beach walks and sandy beaches. 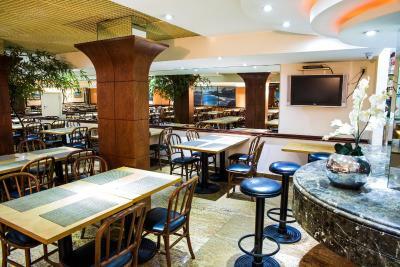 When would you like to stay at Atlantis Copacabana Hotel? This room features frontal or garden views. 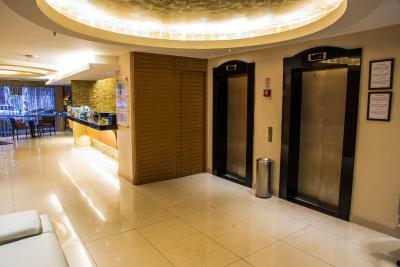 It also offers air-conditioning, flat-screen cable TV and private bathroom with a hairdryer. This triple room features frontal or garden views. 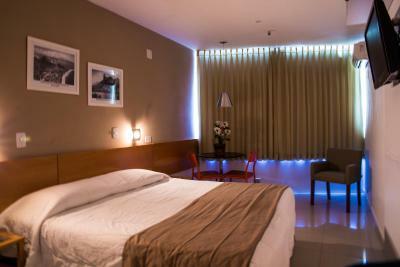 It also offers air-conditioning, flat-screen cable TV and private bathroom with a hairdryer. This quadruple room features frontal or garden views. 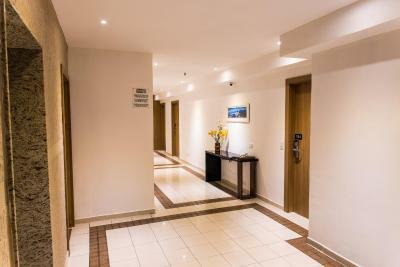 It also offers air-conditioning, flat-screen cable TV and private bathroom with a hairdryer. 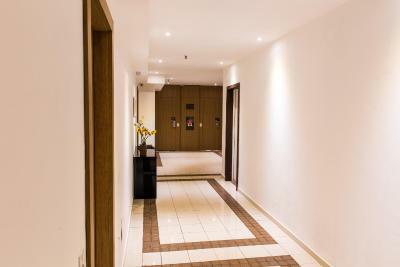 Please note that this room can only accommodate 4 guests in total, including children of all ages. 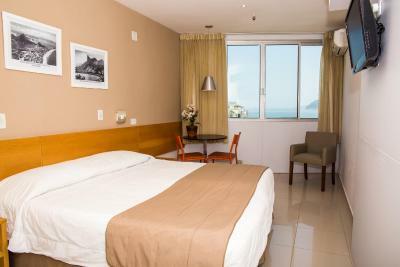 This larger room features sea view, air-conditioning, flat-screen cable TV and private bathroom with a hairdryer. 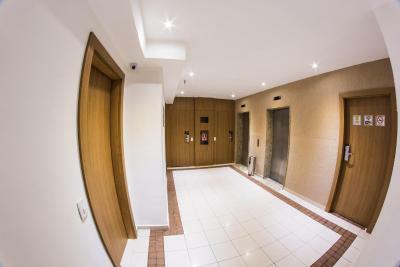 This compact room features internal view. 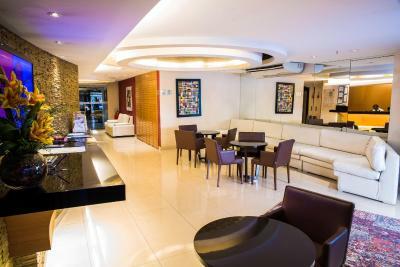 It also offers air-conditioning, flat-screen cable TV and private bathroom with a hairdryer. 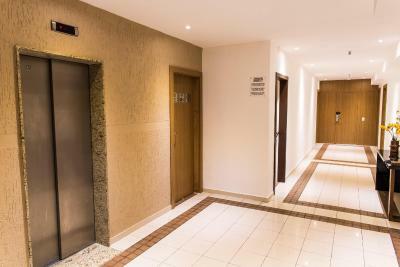 No extra guest or children can be accommodated. 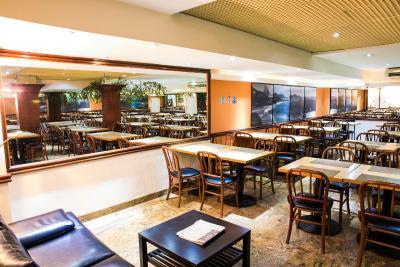 Between Copacabana and Ipanema , the two most famous neighborhoods of Rio de Janeiro , is located Atlantis Copacabana Hotel. 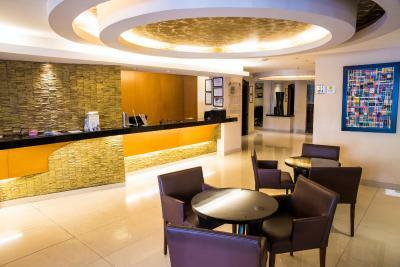 Besides the prime location , the hotel offers every comfort and a differentiated service . Come and see ! 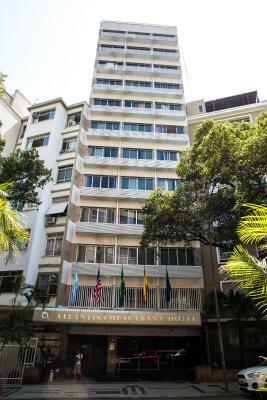 Hotel surroundings – This neighborhood is a great choice for travelers interested in beaches, beach walks and sandy beaches – Check location Excellent location – show map Guests loved walking around the neighborhood! House Rules Atlantis Copacabana Hotel takes special requests – add in the next step! 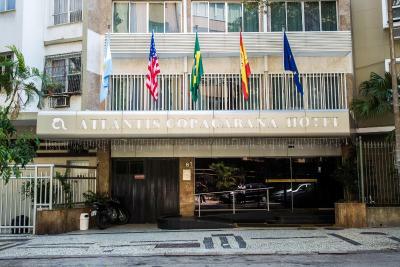 Atlantis Copacabana Hotel accepts these cards and reserves the right to temporarily hold an amount prior to arrival. Please note that room service is offered until 23:00. Breakfast was great. Rooftop pool with views across the city was fantastic. Staff, facilities, cleaning and service overall. Definitely worth the money! Fabulous service. Nothing was too much effort. For this money everything was good. Localization, nice personel and price. 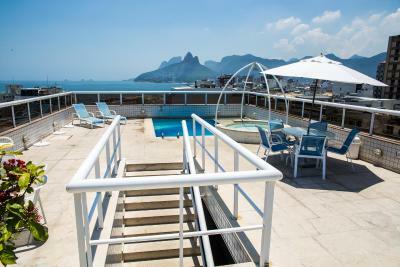 The pool is very small, but the view of the city compensate. Convenient, clean and the staff were great! Position is absolutely perfect to go everywhere easily. Had the drain system in the toilet broken, there was a flood after the first shower and a reflux from the toilet drain and the air con was leaking lots of water. Reported the issues and quickly sorted out. 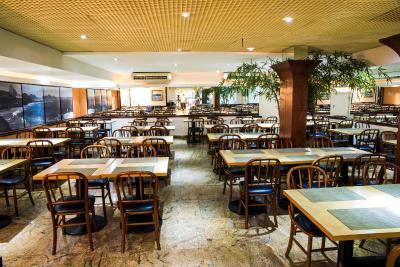 Breakfast is very big, lovely staff, but always the same for 9 days in a row, not really variable. The bad part has been the check out. Have asked few days in advance for a late check out which has been confirmed twice. Eventually I received a call 20 minutes before the normal check out and asked to go and have not been offered to store my luggage which has been a problem considering my flight was 10 hours later. Wifi inside the room is so weak.